A majestic Algerian Oak tree beckons and welcomes - a sturdy and strong sentinel at the gates of Main St Village in Pakenham. Since 1901, this Federation Oak has been nourished by the rich history of nurturing communities that it has extended its branches to. 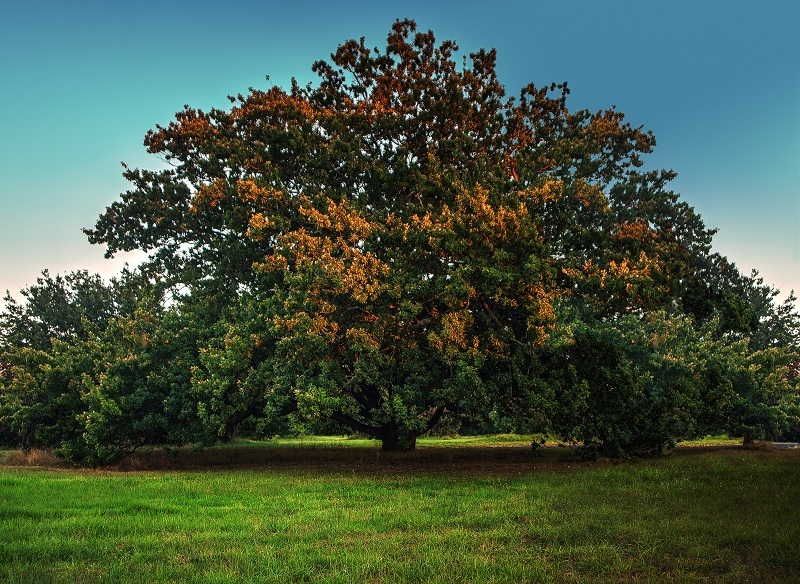 We’re deeply honoured to be custodians of this regal oak tree, and all that it stands for. Home is much more than a house. A sense of history and community adds interest, character and warmth to a home address. Standing 22 metres high and casting an impressively broad 27 metre canopy , the oak tree symbolically reflects a history of strong, inclusive communities, reaching out to all who appreciate its significance. With a long history of being a place of gathering - the communal heart of its surrounding communities - Pakenham is a great location for a home. Located on the former Pakenham Consolidated School site, Main St Village continues to weave the common thread of kinship and community minded spirit. State School No. 1359 was the first resident community established on the site back in the latter half of the 19th Century. An educational and community hub for students, teachers and families who commuted by horseback, a single school house sat next to a pony yard. In 1876, the school was also declared a polling place , in place of the Pakenham Post Office – another instance of bringing community together on the site. A quarter of a century later, Australia was celebrating Federation. To commemorate this nationally significant historic occasion in 1901, an Algerian Oak was planted on the school grounds by 10 year old student, Norman Paterson Webster . There is a history of significant oak trees in the area, but this oak was the same variety as the Federal Oak planted by ‘Father of Federation’ Henry Parkes at Parliament House – Algerian Oaks. Just imagine the momentous sense of occasion this would have inspired on the school grounds, bringing local families together to share in commemorating a key turning point in Australian political history. Continuing to strengthen the thread of collaboration and inclusiveness, in May 1951, a number of neighbouring schools were consolidated onto the site, and Pakenham Consolidated School came into being. In 1997, the Pakenham Consolidated School relocated from Main Street to its present site in Rundell Way. With popular Cardinia Waters Village in Pakenham in the neighbourhood, this site presented RCA with a fabulous opportunity to provide Victorian seniors with an opportunity to take up residence on this significant historic place, and call it home. Like the Algerian Oak seedling Norman planted back in 1901, the Webster family flourished in Pakenham with a number of generations still living in the area. In honour of the local family history that began with planting the commemorative oak tree back in 1901, Norman Webster’s daughter, Caroline Lewis and granddaughter, Bronwyn Broadbent, officially turned the sod on the village site on the 19th of May 2015. Main St Village villas have been named in honour of Norman Paterson Webster and Henry Parkes. In choosing a villa, you will share in a wonderful piece of local history, under the gaze and protection of the old oak tree. We’re creating a home. Main St Village is a place for seniors to flourish, while living life to the fullest. Your aspirations are our inspiration, and we are committed to creating an enriching and vibrant community with you. We’re taking our custodianship of this rich history, very seriously and invite you to be a part of it.